..if not actually disgruntled, he was far from being gruntled..
Peter Hitchens thinks cannabis is a dangerous drug which could make those who use it violent. He might be right about that. There should be an enquiry. Who wouldn’t want one? The desire to die seems to me to be one of the most interesting things about many of these attacks. Why don’t we focus more on this desire? Do we consider the doer’s death incidental? The IRA didn’t have this tendency. IRA murderers wanted to remain alive to organise more death and plant more bombs. Were many or most or some of the IRA mass-killers on drugs? If they were not, then it is clear acts of mass violence and murder are possible *without* the killer being made unhinged by chemicals, thus posing the question how relevant is the drug-use in some of the latest lunatics’ behaviour? Maybe it’s very relevant. Maybe it’s not. If many of the IRA were on drugs, then those IRA persons are strong evidence that one can be a deranged lunatic who is happy to murder and torture without wanting to die themselves. Suicide is a serious business. To want to die is to want something which runs counter to hundreds of millions of years of evolution and natural selection. What could make a person happy to die? A person might be happy to die because they think that, after their death, they will continue to be alive. On a religious worldview, killing yourself is no more than jumping a stream. The murders these maniacs do is one thing, but that they all seem to be happy to die is possibly more important because there’s no mystery to humans being violent. Why should a person, whose mind is affected by drugs (or ideology or both) become violent and want to hurt others? Why is violence what surfaces, instead of a desire to go brass-rubbing or flower-arranging? Human beings are animals: evolved creatures like any other. We are naturally savage and violent. It is civilisation which is unnatural. Good manners and central-heating don’t grow under rocks. Stanley Milgram showed just how easy it is to get us to hurt others. It takes almost no effort to get humans to press other humans’ arms down on electrified plates, or flick switches to administer electric shocks. Violence is natural in humans. Milgram showed we become torturers with shocking ease. Willingness to die is the interesting thing about these attacks. Why did the IRA have no suicide policy? The problem with the politicians is that they are controlled by political correctness. The political establishment is determined to believe that Islam isn’t a stupid and violent ideology because many of those who practice Islam have brown skin. To criticise some of the ridiculous and dangerous ideas in Islam – martyrdom, apostasy blah blah – is to criticise the beliefs of persons with brown skin. This is obviously racist. Political correctness is killing us. The attacks the Islamists launch will get worse and more frequent and more innocent humans will be murdered. The cowardly politicians, police, and local authorities in this country will blame everything from TV to fast-food and passing comets for the killers’ behaviour. What these lunatics actually believe about the universe will never be the cause of their behaviour because the PC groupthink won’t allow it. 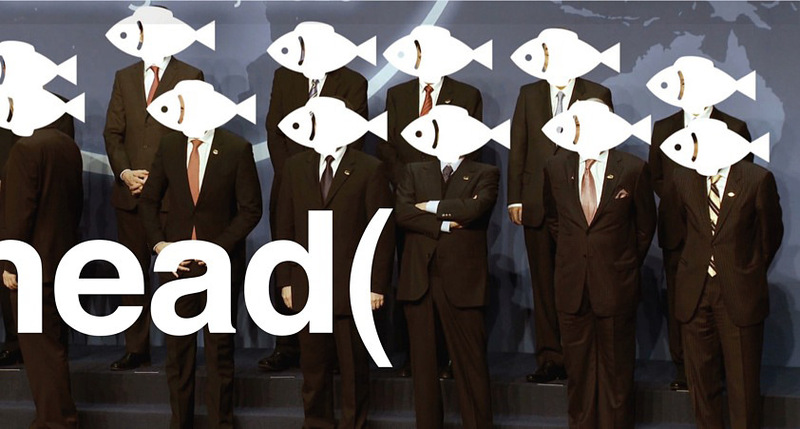 Our “leaders” are not leaders. The word ‘conversion’, when it refers to switching religion, is absurd and pretentious. It is absurd because the word connotes the changing of one thing into another via a complicated and technical process – and that is what makes it pretentious. Nothing complicated or technical happens. A person has faith that the universe was created be an all-powerful and benevolent supernatural power: an actual being which exists independent of their mind. This could be a faith they have held for many years and have, perhaps, told other humans they ‘knew in their heart’ that God was real and speaking to them. Their internal, physiological sensations were considered ‘evidence’ of and for this ‘truth.’ Perhaps for many years they attended a particular place of worship and were an active member of their congregation – perhaps working in the community on behalf of their church or mosque. Then – and the reasons for this choice are irrelevant – they decided to ‘convert’ to another religion. What actually happens? What does the convert actually do? Well, they need to take ‘instruction’ in their new belief. For example, if an Anglican decides to ‘convert’ to Catholicism he might need to know about the transubstantiation and consubstantiation, for example. There will be differing points of theology to study, maybe, and – generally speaking – there will be certain ‘this is how we do things here’ lessons to learn. In short – the whole process is a piece of outward showmanship and internal self-delusion. It matters not one jot how much ‘instruction’ the convert accepts, they cannot escape one simple, devastating fact. They have to stop believing in something they previously believed. Quite why this doesn’t seem to bother them I don’t know. It might be because the absurdity of what they have done is masked by the technical implications in the word ‘conversion.’ They don’t say they have stopped believing in one religion and started believing in another, or that one belief has been dropped and another been taken up. That would suggest the dropping of their original belief was easy to do, that it had not much substance to begin with. To know how ridiculous the notion of religious ‘conversion’ is, do what most thinking people do when testing an idea. Apply the idea to another situation and see if it looks stupid. A Newcastle United fan is, for whatever reason, disenchanted by his club. He wishes to ‘convert’ from Newcastle United to Sunderland FC. Perhaps he might need to visit Sunderland’s sacred ground, learn of the club’s history and its most famous players; the club’s victories and defeats and so on. Perhaps, after showing interest in these things, he is allowed to join the Sunderland supporters club and then is finally accepted into the Sunderland congregation. He has converted – all praise the beautiful game! Has he ‘converted’? Would he describe himself as a ‘convert’? Would his former comrades in black and white call him a ‘convert’ do you think? He would be called a traitor to his faith, his religion, the cause – or whatever football fans call the emotional, loyalty-based trickery which the corporate clubs use to take their money. Religious ‘conversion’ – that it happens and is called what it is – is all one needs to know about the tissue-thin ‘faith’ a person purports to have. That they can drop it, that they can take up a different version of it – or swap religions altogether – is absolute proof that many faith-holders are simply deluding themselves about what they believe and about how important it is in their lives. More importantly, that other faiths allow converts to come over means the faiths themselves are doing no more than fighting for market-share. No doubt many faith-holders would bleat that the process is ‘painful’ or they ‘grappled with their conscience’ – or something similar because they wish to give the impression of an emotional or psychological struggle. Don’t believe a word of it. This sort of language is to give weight to what is no more than a ‘drop one, pick up another’ move. At its root, that is all that happens. The religious know they are deluding themselves, they know how irrational what they believe is. The ceremonial song and dance routine, wrapped up in technical language like ‘conversion’ and prettified with peacock-feathers and fake struggle – is the way that the rest of us can see their ‘religious conviction’ for what it is. In the genre of horror fiction, many authors have touched upon the same subject matter and populated their works with similar characters. Serial-killers, Cop-killers, Child-killers: they have featured in hundreds of novels and films over the years. The same is true of Lovecraftian demons and spirits. Stories of haunting and possession are as old as history, and the deformed, shape-shifting and deceitful entities that are responsible for those haunting tales, have themselves featured many times across the work of authors whose lives have been separated by centuries. There appears to be nothing original under the sun. Some writers do have an original take on an old story or character type, though. For example, in his novel, Cell, Stephen King has battalions of flesh eating zombies doing some nasty things to the population of Boston. Zombie tales and movies tend to keep to a standard pattern: zombie eats you alive, you then become a zombie yourself, and you eat your mum or another dispensable support character. No explanation tends to be offered why the dead have decided to rise – or why they are so hungry – and the main plot of these stories revolves around the survival attempts of a few desperate groups of humans. Some of these elements are true of Cell, but there is one remarkable and original difference to King’s Zombies: they are alive. The un-dead – or phoners, as King calls them – have received a mysterious signal through their mobiles which sends them violently insane. Their behaviour is similar to run-of-the-mill un-dead flesh-eaters from books and movies of the past, but only up to a point. King soon takes his readers away from the conventional as his story unfolds. The movie Wolf Creek is another example of giving a tired format a decent revival. A serial killer, roaming at his leisure across Western Australia, kills tourists visiting the Wolf Creek meteorite crater. The psycho-is-chasing-you format has been done in dozens of movies – hundreds, more likely – though in this film we have a refreshing change. The psycho is a decent bloke. There are no funny facial ticks, no talking to voices in his head; the killer is played straight by John Jarrett, and is much scarier for it. Even at his most violent, Mick Taylor, Jarrett’s character, never falls into parody: Jarrett plays the part as if he was influenced by no other performance on stage or screen – a remarkable achievement, actually. Wolf Creek has another piece of originality going for it: there is no double-take used by the director. This shock technique features in so many horror films that its effectiveness has been diluted. We all have seen this at work. The camera stands behind a scared character; they look left, and the camera looks with them. There is never a baddie to be seen. Then, they look right – again the camera follows to show the madman is nowhere around. And then – guess what – they look left again and the psycho’s face is inches from theirs. You never saw that coming. Murderous psychopaths belong to no-one – they can’t be copyrighted, so there is no quality control in place. The same is true of all types of horror villain and monster. If you get lucky, you watch or read something that catches the attention because it breaks the normal way of telling that story or presenting those characters. Richard Matheson’s Vampire novel, I am legend (1954) has a protagonist who is considered a terrorist – an outcast, because he is in a minority (a minority of one, as it happens) and the rest of the population of Los Angeles is a blood-sucker. The novel offers the theory that vampires are the next evolutionary step for mankind. This is better than presenting them as Satan’s disciples on earth, who avoid garlic and drink virgins’ blood. That version of vampires has been overdone. But then vampires are the one of the most popular horror novel or movie creatures; it is not surprising there is so much pap printed on paper and celluloid about the fictional blood-suckers; but, there are writers who offer an intriguing and original take on this type of story. Anne Rice is one of them. Her novel, Interview with the vampire, (1976) was a best-seller, and the first of eleven novels collectively known as The Vampire Chronicles. The series tells of the adventures of Lestat De Lioncourt, a French aristocrat and actor, who was kidnapped and turned into a vampire in 17th Century Paris. Lestat is posh but penniless. He ventures into the big city with Nicholas, his companion to expand their horizons and make their fortune. Nicholas, a talented violinist, takes work in the orchestra pit of a theatre while Lestat, ever the show off, treads the boards. Life is perfect. They take-in the sumptuous city: the people; the wine; the food – they indulge their passions, but Lestat becomes un-easy at the sight of a curious white face in the audience each night. Someone is stalking him. Rice offers a mix of Dickens blended with Dorian Gray. There is the overpopulated metropolis with the detritus-ridden underbelly, and slopping about upon its surface are the beautiful people; drowning in decadence and drunk on wine and passion. Lestat, for all his foppish, Wildean extravagance, has a killer’s blood pumping through his veins. Before eloping to Paris, he killed a pack of wolves that had been slaughtering people from his home village. On horseback, with his beloved Mastiffs by his side, he hunted and killed them. Doing so cost him his horse and his dogs, but the starving villagers and their cattle had a chance to make it through a cruel winter. He was a hero, but the folly of setting off alone demonstrated his maverick side. It is that – along with his physical beauty – that captures the attention of Magnus, the vampire with the ghostly white face who has been stalking him. It is here that Rice begins to deviate from the norm as far as tradition and popularity in vampire stories go. Vampires in her world are capable of love and passion, they are capable of guilt and sadness – they are monsters, they are un-dead – but why should that mean they must be mindless demons, automatically slaying any human they spot? Rice’s vampires choose how they behave. Too many times in horror fiction vampires are portrayed as being enslaved by the insatiable thirst for blood; they kill because of it. It’s their addiction and their food. Not so with Anne Rice. The thirst is nothing more than a demonic craving, leading to madness if not slacked, but not required for continued existence. Her monsters are a human / spirit hybrid; the spirit element craves the blood, but the human side – the physical body – no longer requires nourishment. As her vampires age, slowly the thirst subsides until the ancient ones, those at least a thousand years old, no longer need it at all. And with age comes ever increasing powers. Magnus is one of the ancient ones. He chooses Lestat as his heir after murdering hundreds of similar looking victims. Lestat has the perfect balance of beauty and aggression and Magnus, after taunting him in his dreams – calling him wolf-killer – takes him to his lair and turns him, and does so, much against Lestat’s will. Rice’s hero continues his life, but as a vampire. He still visits his favourite places and enjoys the culture of the time. He is frequently found in the theatres, cafes and strolling along the banks of the Seine. The circumstances of his existence have changed, but his tastes, and his entire thinking mind, have not. It makes her characters far more engaging than the one-track-mind demons that meander from one virgin neck to another. It also demonstrates Rice’s skill as an author. A lead character needs to elicit sympathy from the readers of a novel or the audience of a movie. Rice’s Lestat is a mass murderer, and she still makes him engaging and sympathetic. Play it straight and tell the truth, that is the safest way. It is too easy to make a murderer lose credibility by getting carried away with the killer’s dark side. Even a murderer has a sense of humour. John Jarret played it this way in Wolf Creek, but he’s not the only one to get the portrayal of a killer spot-on. Harrison Ford did a similarly grand job in What lies Beneath (2000). He gives, possibly, his best performance as Dr. Norman Spencer, an academic who puts his research first. In one scene, Ford’s character is explaining to his wife how her death will bring him and her daughter closer together. It is clear he means it; he will look after his step-daughter, and provide the very best for her. As he explains this to his wife, he is filling the bath to drown her. It is the incongruity written into the scene, topped off with Ford’s delivery that gives the scene its power. Even allowing for Dr. Spencer’s insanity, he never once comes across as dangerous. He is a graceful monster. And where is it written that madness has to be dangerous? Who decided insanity must lead to murder? One film comes to mind with a lead character so psychologically damaged that it is remarkable not a single member of the cast gets slaughtered; a movie with the most deranged protagonist: The King of Comedy (1983) is that film. Robert de Niro plays the psychopath, Rupert Pupkin, a stand-up comedian with delusions (literally) of grandeur. It is one of the most disturbing movies I have seen. Not a single murder, hardly any violence, yet the impression left by this film lasts long in the mind. It is very uncomfortable viewing. It proves dead bodies and gore will always come second to a quality script and decent actors in the race to disturb an audience. To creep under the radar requires no trickery. It requires you pick the lock of their critical shields and slip inside using truth. This is why gore-sodden celluloid like Saw (2004) and Hostel (2005) will make an audience squirm, will make them jump, but will never get access to the place where humans are truly vulnerable. Movies such as Saw and Hostel – and many others, of course – will try and batter their way in using boring tricks and double-takes. I told my wife I was going for my usual stroll. My usual stroll was through the park and along through the cemetery, and then I’d loop back again and come back. The particulars of the walk are unimportant. I went that way because I liked the peace in the cemetery. There was never more than a few living people in there at one time, and it was easy to get some quiet. Occasionally I would read some of the graves. I would read the names on the headstones and any inscription. I like history. Acknowledging those who lived here, long before I existed, seemed a correct thing to do for some reason. I’m unsure exactly why. I suppose those who are buried are the lucky ones – much luckier than those who are cremated. A headstone is a blue-plaque for the unknown. One time, on my usual stroll, I stopped and sat on one of those slatted wooden benches they have in the cemetery. It’s got a brass plate screwed into it which says ‘In loving memory of William Brown – a real gentleman’, though I’ve never been able to find his headstone anywhere. I sat down and took a sip from the flask that I carry. (A small, silver one – a present to myself – which slips in and out of the old inside pocket with agreeable ease and frequency.) I looked about, taking a minute. Then I saw something which held my attention. I was sat close to a small shed – not much more than a wooden box. It looked like a place where a gardener would keep some tools, or a wheelbarrow or something. Leaning against the side of it was one of those tall bins on wheels. What caught my attention was the message daubed on the front of it. The message was ‘No Hot Ashes’. I looked at it for several seconds, as if I was trying to decipher what it meant. I realised soon enough what it meant wasn’t what bothered me about it. That there was a rule which said a bin should have no hot ashes placed in it was clear enough. What bothered me was lurking just under the surface of my thoughts, and didn’t want to be uncovered. I know myself well enough. That message made me change my usual stroll for another one. I didn’t want to see that message again. From then on, I took a different route for my stroll. I’d still go through the park, but rather than going through the cemetery, I’d turn towards the shops, dart along a footpath which lead to a set of steep steps up to the cliffs. There was a splendid walk to be had along the cliffs, so long as you could manage the climb up and I suppose not everyone could manage it. A quick snort from the old flask usually gave the required boost. It was worth the effort for the view. 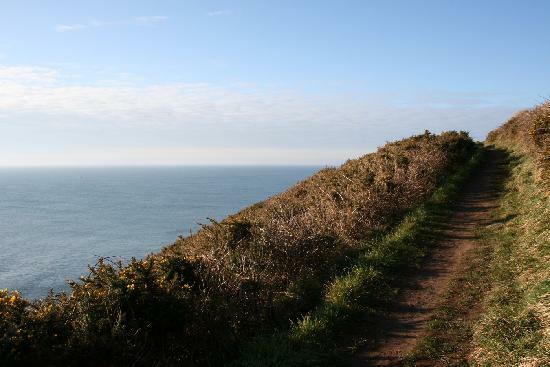 Along the cliff-path were more of those slatted benches where you could sit and admire the view out to sea. The water would carry you out to where it touched the sky if you allowed it to. The view was as clear as that. You know what people say, that on a clear day you can ‘see forever’? The view was a bit like that. I was sat on a bench, wondering how far the horizon was, when a man appeared at the top of the steep steps and strolled over. He sat down and caught his breath while dabbing his brow with a black handkerchief. I offered a polite nod – just an acknowledgment. It seemed the correct thing to do. Once he had his breath – and I knew he was going to do this – he decided to speak. ‘Absolutely,’ he said, looking out to sea again. He pinched his nose, sniffed, and slapped his lap. ‘Right,’ he said, standing up, ‘enjoy your day.’ With that he got up and carried on along the path which dipped slightly and within a moment or so took him out of view. He was friendly enough, I thought. I admired the view for a few minutes longer, then set off the way the man had gone. I knew well enough where the path I was on would lead. It dropped slightly, stayed alongside the cliff-edge for about 100 yards, then turned away from the edge and dropped, steeper still, down to the normal world of traffic and shops and noise. That night I woke up some time in the early hours, sweating a little, and trying to catch my breath. I rolled out of bed in something of a panic, and my wife woke up and wanted to know why I was kneeling on the floor, gasping for breath like I’d just run a marathon. I explained I’d had a nightmare, that it was nothing to worry about. She persisted in telling me to get ‘looked at’ and make sure everything was okay. She acted worried, though for someone worried was calmed easily. I didn’t hold that against her – why should I? I’m not a romantic in any sense of the word. She looked up something called ‘sleep apnea’ online and decided to become an expert in this topic, thinking that my little ‘moment’ of breathlessness was due to this condition. I pointed out that, if that were the case, then moments of breathlessness would happen most nights, but it had only happened once. She did agree I had a point. I decided to get out the house and go for more walks. My wife didn’t want to come along but agreed exercise was a very good idea. It was always worth it. The next afternoon I ventured out again and, after stopping at the newsagent to buy a discreet bottle of top-up for the old inside pocket, went up to the cliff-path by the way I had come down the other day. It wasn’t as steep as the steps, but still hard work; as always, the view was worth it. The man I had spoken to briefly was sat on another bench, staring out to sea. I was huffing and puffing a bit, so decided to sit down next to him. He didn’t acknowledge me, though: he was concentrating on the horizon. ‘Dammed fine view, that,’ I said. Then he looked at me, expressionless, like he was in a trance brought on by the horizon. He nodded in the direction of my jacket. I twigged what he was getting at. ‘Oh, right – yes!’ I took out the silver flask, unscrewed it, and offered it over. He took two good swallows then handed it back. I quickly put it back in the old inside pocket. I nodded as if to say you’re welcome and was about to introduce myself – you know the thing, offer out the old fashioned handshake – when he got up, and quite calmly walked toward the edge and then walked right over without looking back. For a moment I had to question if I’d seen what I knew I had seen. You know how your brain registers and event, but if it’s unexpected, the mind sort of suffers a delay in recognition? I’m no expert, but it was something like that. I hurried over to the edge and got as close as felt safe and peered over. It was a few perhaps a hundred feet to the rocks and water below, but there was no sign of him. He’d been wearing red trousers, which I thought would have been easy to spot, but there was nothing. My heart was thudding and I looked around quickly, wondering if anyone else saw him go over, but there was nobody about. I couldn’t hear even a dog barking in the distance. I grabbed at my coat pockets, in a panic to find a phone, but there was only the familiar lump of the flask. I thought I had my phone with me, but obviously not. I was thinking I’m supposed to be phoning the bloody coastguard or someone now, but the way he calmly stepped over the edge made me think all was well about things. That might sound weird, but he was so calm about it. I thought then that calling the coastguard was a waste of time in any case, because nobody hitting those rocks would survive. What would they do? There was actually a little bit of beach down below a person could get to, but the geography made things difficult, and it was a twenty minute walk to get back down the steps, then take the scenic route almost out of town before doubling back along the main beach; and even then things were fiddly because there was a walk across the rocks to get to the bit of hidden beach down below. I’d been all over the rock when I was a kid, but that was some time ago. I didn’t know what to do. If I ignored it, I couldn’t tell my wife, but If I didn’t ignore it, I’d have to tell her. I decided I’d call the police and report the incident, explaining I didn’t call earlier because I had no phone on me at the time. This felt like a solid plan, so I made for home. I told my wife excitedly what had happened. I left out no details. I’d seen this chap before, and that this time – after no more than a ‘hello’ – he just got up of the bench and walked calmly off the cliff edge! I told her I’d seen nothing like it and that he didn’t even hesitate – not for a moment did he hesitate! I thought she’d be somewhat more excited, but she just smiled and said, how terrible it was that someone would do that. ‘I’m going to call the police,’ I said. My wife gave me one of those ‘good-for-you’ play punches in the shoulder and passed me the phone. I called them, but not on the emergency line, just the normal ‘report something’ line: the same line people use for reporting cats up trees, noisy neighbours or a stolen car or something. It wasn’t long before I was through all the ‘push one for whatever’ business. I started by telling them my name and address, and then got down to it. The police person didn’t seem in any kind of hurry. It was an older sounding voice, possibly male. There was just breathing down the line for a moment or two. Then the voice spoke again. This made me scared for some reason. Who was on the other end of the phone? I started to feel a little dizzy, and the hairs on my arms were standing up. I quickly looked about but my wife had disappeared. I bought two small bottle of the old top-up at the shops and started up the steps. I’d walked the steps plenty of times but they were heavy going. The air was heavier this time. By the time I was at the top I was out of breath and needed to take a minute. I decided to sit for a minute and that’s when I saw him sat on the bench. It was the same man, no mistake. He even wore the same red trousers. It was obviously him, but at the same time it obviously couldn’t have been him. I walked over and sat down. He didn’t look at me. I got my breath a little more and spoke, but I didn’t look at him. For some reason I couldn’t do that yet. ‘Takes it out of you,’ I said. ‘Worth it, though. Look at that view.’ I looked at him then, but wished I hadn’t. He was smiling, but had tears in his eyes. ‘Yes,’ I said. That’s all that came out. The weather was good, there were no clouds in the sky and the sea was calm all the way to the horizon. There was a breeze, but the air was still warm. You can’t fight the tide, you can only ride it as best you can, but there’s no stopping it. I stood up and left him on the bench and walked towards the edge, feeling the breeze and the warmth on my face. I peered over the edge and saw the waves breaking against the rocks far below. As the rocks rushed closer I knew I was smiling. This never hurt for long. I’m now going to indulge in a spot of crazy speculation. I’m going to imagine there was in this country a national vote on the question of whether or not the Tories were a bunch of land-downing toffs who liked to snort cocaine through the hollowed-out finger-bones of their servants’ dead babies. I think this question should be put to the country. The results of the EU vote show the cliché is probably true. Many of the Westminster/Media/Celebrity class wanted to remain in the EU. There was a clear ‘remain’ London bubble. Who could forget Gary Lineker’s clever Tweet where he said ‘U Kip for a few hours….’? Or poor Richard Bacon’s reaction-tweet: pouring his heart out that he feels so sad now, and the vote to leave was (not only) ‘small’ but ungrateful to eastern European immigrants. Perhaps it’s immigrants who deliver his cocaine? I have no idea. That this category of person voted to Remain makes sense, and so does their reaction to losing the vote. The elitist always thinks he knows better than everyone else. Consider the reaction of another Celebrity/Media/London (etc.) bubble-head: Damon Albarn. He told a massed gathering of proles that democracy had failed us because it was ill-informed. Ill informed? Irony isn’t Albarn’s strong point. What he means is he dislikes the result, and wishes it had gone the other way. But why not just say that, then? It’s the answer to that which is where the most interesting aspect to this vote is to be found. In describing democracy as ill-informed, Albarn is hiding his real meaning. He means the 17 million humans who voted to leave the EU were ill-informed, but how can he possibly know this? He can’t, and that’s the point. Who’s truly “ill informed” here? We can all be snobs about this or that, and I’m no different in principle. However, I’m confident that, even at my most conceited, I wouldn’t be deluded enough to publicly write-off 17 million voters as idiots for voting the wrong way. But what Damon Albarn and Richard Bacon Gary Lineker think is not shocking. Their conformist bubble-views are to be expected. The celebrity who shocked me was Derren Brown. He Tweeted support for a second referendum, here. This is actually shocking because Derren Brown is so obviously intelligent and educated. In addition, he’s a (somewhat) outspoken atheist who has written about the importance of science as compared to superstition, and the importance of thinking rationally and using evidence. Yet here we have Mr Brown openly declaring his desire for a second referendum. What is going on inside Derren Brown’s head? Why is this rationalist failing to appreciate the basic principle of democracy? Does he not see that counted and verified votes are significant empirical evidence for something? The death of Diana revealed that millions of us are bleating-sheep under the human veneer; Facebook allowed millions of us to reveal that we’re over-grown children with “issues” who should never have been allowed to reproduce; and this EU vote has revealed that many “celebrities” are extraordinarily arrogant, and have their own inner-Stalin to deal with. I would have expected these elitists to have kept this horrid side to their characters hidden, yet they seem happy for the world to know what they’re like under the rubber-skin. I knew Derren Brown was creepy, but I always thought it was part of the act. 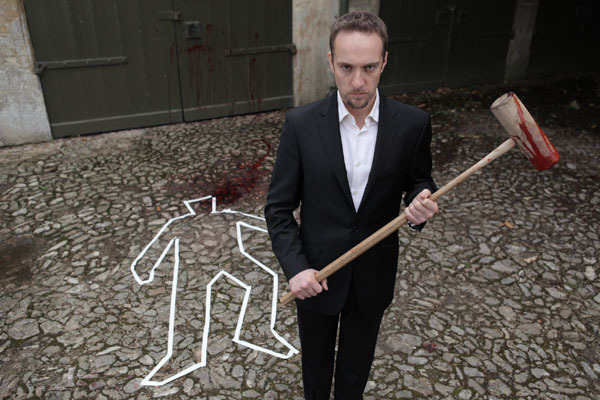 Picture: Derren Brown after debating a ‘Leaver’ on the EU question.